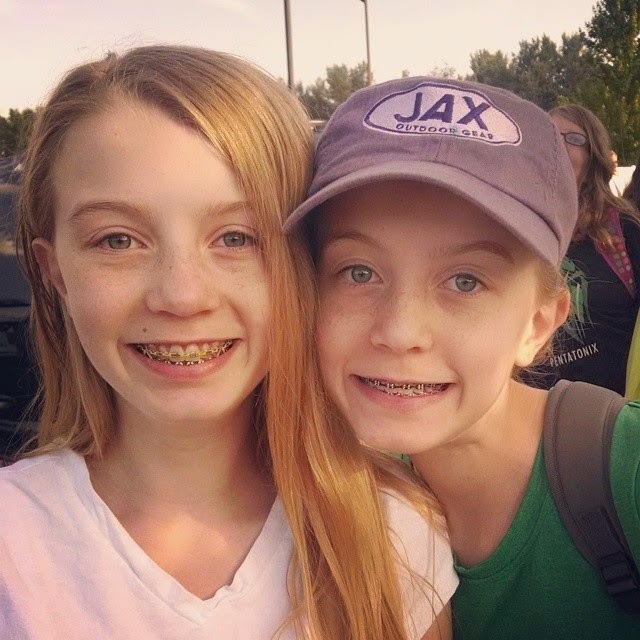 A few weeks ago my girls headed off to their first Girls Camp. Girls Camp, in my faith, is a camp that is held once a year and is just for the 12-18 year old girls in our congregation. It really is a lot of fun for the girls. They go on hikes, have devotionals, play in the sun, giggle and stay up way to late in their tents, serve each other, and just over all have a great time. 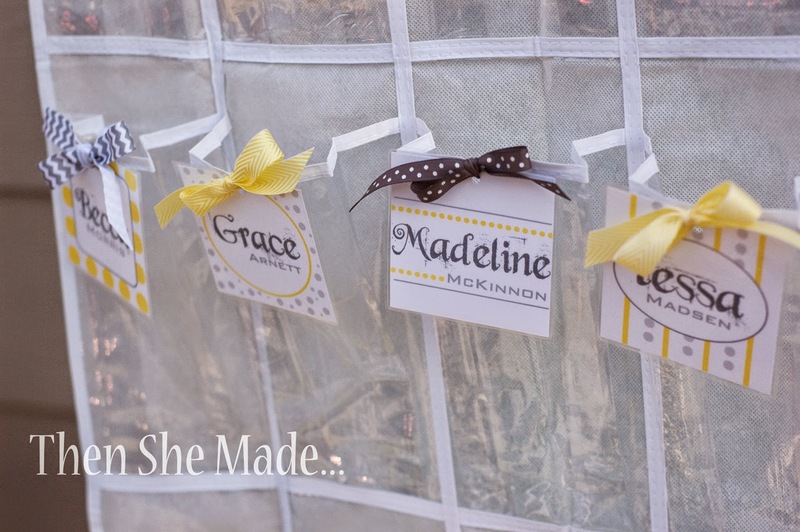 One of the traditions at Girl's Camp is to do Secret Sisters gifts. This means they are assigned another girls name and they do little things for that girl, without the girl knowing who it is - that's the secret part, for the whole time they are at camp. It can be something simple like leaving a bottle of nail polish with a note, or getting them their favorite candy treat. It's fun. My girls were really excited to shop for their secret sisters. Normally before camp all the girls get together and decorate paint cans that are used as mailboxes for secret sister gifts but this year the camp leaders decided to skip the cans. I'm not sure of the reasons but I can guess. They take up a lot of room and it can be an issue trying to make sure every girl has one. As a mom, I was cool with them skipping the cans. It just one more thing I have to store at home afterwards and so not having to worry about that is awesome. However, not having a delivery box for their treats was a bit of concern for some of the girls. Any time you break with tradition, it causes alarm, doesn't it? Even if it's a simple thing. At church one day during young women's the discussion came up and I felt so bad for the leader. The girls were hitting her with one question after another, machine gun style. How do we deliver them? Won't they know it's me? What if they see me leave it on their pillow? No paint cans? Do we just walk up and hand it to them? I get it, those kinds of things left unknown can cause all sorts of anxiety in someone who is a planner. Especially for a 12 year who has never been to camp before and has to make a delivery to an older, cooler girl. It can be intimidating. I totally understood their questions and anxiety. I also knew the leader didn't need one-more thing to worry about before they left for camp. Because of this I reached out and offered to help. I had seen on Pinterest where someone used a hanging shoe holder for Secret Sisters stuff at their camp. I thought it was a great idea and so I offered to donate one to the cause. It wasn't the traditional paint cans but it certainly folded up and stored a lot easier. And, they could hang it on a door or from a tree. Plus, I was hoping it would help settle some little camper's nerves. I know it helped my daughters. 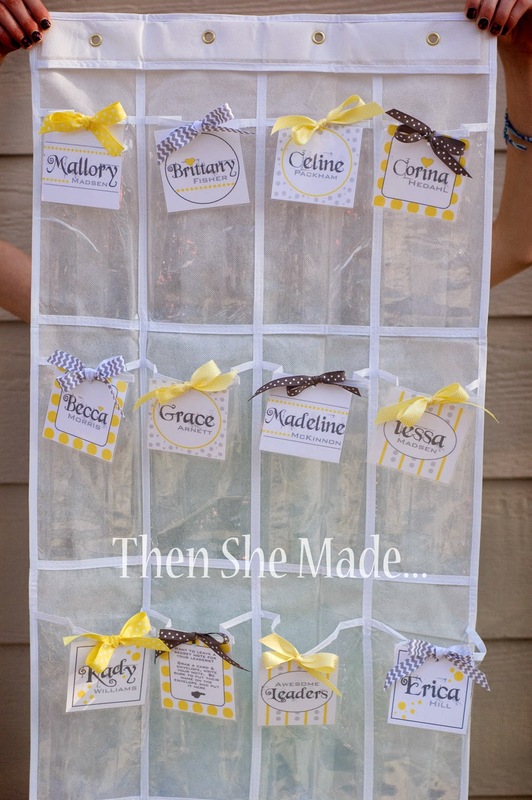 So, have you seen these organizers and have you ever thought to use them for something other than shoes? The holder itself was $5 at Walmart. Then I made tags and laminated them with all the camper names and just tied them on with ribbon. Super easy and pretty fun to make. And, score for me, now that camp is over I can re-use it. I'm just having issues deciding what to put in it. So many options but I'm sure I'll figure it out! Just remember that, whatever you decide on, you'll probably have to empty it out again come next summer. They certainly won't want to go back to paint cans again! You are a genius!!! I'm going to do that at my home!!! Thank you so much for sharing! You are great! I have always thought that the shoe holder could be further enhanced to provide alternative storage solutions to any household. It would do wonders for the male community too like for storing bolts and nuts up in the workshop to keep them organized for easy retrieval later on. It would also help keep the children’s colouring tools like crayons and brushes neat and tidy too to keep the clutter away from sight.